Radio420™: Details Announced for the 2018 DCG Con in DENVER, CO! Details Announced for the 2018 DCG Con in DENVER, CO! Details for the 2018 Dark Carnival Games Con have been revealed! It’s going down May 11th to 13th in Denver, Colorado!!!! At the “Clown Plaza” convention center, which will include 60,000 square feet of all the anticipated gaming events, concerts, and an attached hotel that’s bout to be Juggalo Party Central! That’s right ninjas—you heard correctly! The New Year is about to go down with some of the dopest flavor in store that will straight up impact you like a grand piano dropped on your dome piece Three Stooges style. 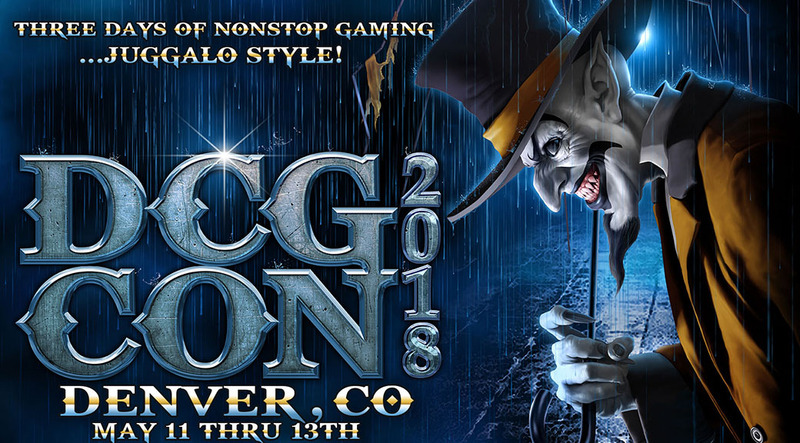 To get things crackin’ properly, we got the Dark Carnival Games Con comin’ at you in May 2018, which is three days of nonstop gaming…Juggalo Style! And where is this spectacle of games, arcades, contests, gameshows, autograph signings, seminars, movies, Juggalo gladiatorial combat, inflatable games, and concerts going to be held this year? None other than the Weed Legal city of the Rocky Mountain state itself…Denver, Colorado! Come join the Juggalo Family for what many refer to as the ultimate throwback, recapturing the feel of the very first and fabled Juggalo Gatherings, and find out for yourself why last year’s first ever Dark Carnival Games Con was so much fun! Tickets are $50 for all 3 days, which covers everything—including extra hype concerts! The dope facility the con will be taking place at (a.k.a. the CLOWN Plaza) has over 60,000 square feet of space (that’s double what we had last year)! What’s even more wig flipping is the fact that everything will be taking place inside this huge venue, including the concerts featuring the Insane Clown Posse and all your favorite Psychopathic artists! It’s a Juggalo Takeover in the Clown Plaza!!!! Who’s ready? The official website launch and tickets will be on sale soon, so stay posted! Same address as the convention center. As if that wasn’t enough flavor, it’s a Juggalo Party up in here!!! Wanna stay at the official super pimpin DCG CON hotel (which is directly attached to the convention center) and partake in truly 24-hour flavor? We got you covered homie! All DCG CON attendees will receive a special discounted rate of $119 a night at this extra super plush luxury spot. Make sure to use the special group code DCA to ensure you get the discount. Get schooled ninjas, and stay posted for more information dropping soon. Also, be prepared for the Juggalo Day announcement, which will be ready in the next few days! 2018 is startin off right for the Juggalo Family! Bringing in the new year right, with DCG!